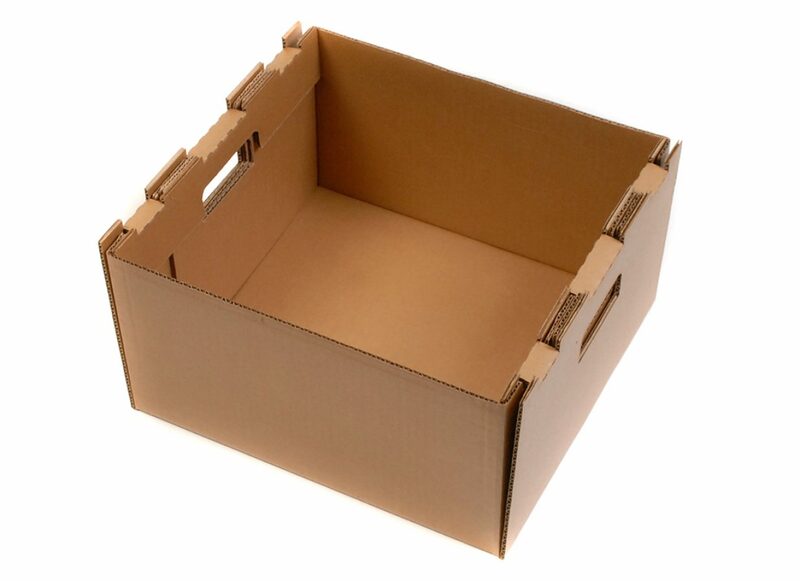 How to handle hand holes on corrugated boxes | Planet Paper Box Group Inc. When the size and/or weight of the product justifies them, hand holes (also known as access holes) are designed into corrugated boxes to facilitate safe manual handling. The categories of such products are diverse, examples being wide-screen televisions, printers, windows, patio doors, garage doors, automotive body replacement parts, in addition to various multi-pack consumer non-durables sold in big-box stores. ASTM D6804-02 Standard Guide for Hand Hole Design in Corrugated Boxes provides general guidelines, but concedes, “It is not intended to provide specific information on the design of hand holes.” A user of corrugated boxes with hand holes needs application-specific knowledge; otherwise, the boxes might prove to be unfit for their intended purposes. Hand holes are a simple concept, entrapping some users into believing that it’s no more complex than die-cutting some openings into a corrugated blank. Such thinking is a main reason why, every year, there are accounts of hand holes failing, causing injuries at work, retail, or home. The ensuing discussion identifies the major variables and considerations that should be brought to bear. Board. Corrugated paperboard is an engineered structure, having a strength-to-weight ratio that makes it unrivaled for box construction. That distinction aside, there are still decisions to be made as to the board and its properties. Should it be single-wall, double-wall, or triple-wall? What type(s) of flute? Virgin Kraft or recycled? Mullen Burst Test or Edge Crush Test? Keeping in mind that with the aforementioned types of large and/or heavy products that justify hand holes, double-wall should be the default choice. That’s because single-wall might not embody the required strength, and if triple-wall strength is required, the load is likely one best suited for mechanical handling. With double-wall, it’s best not to use the same flute for both layers, to avoid arches aligning one on top of the other. When different flutes are used, their heights and number-per-linear unit make for an alignment that’s staggered and more resistant to forces. Beyond that, A/B, A/C, B/C, etc. each yields a distinct board thickness. Furthermore, the properties of a given combination can differ, depending on which is the outer and which is the inner flute. Sustainability notwithstanding, there’s no denying that virgin Kraft is stronger than recycled. If the required measure-of-safety only can be met with virgin, then, so be it. That certainly applies to the liners, but can apply to the flutes, as well. Mullen Burst Test and Edge Crush Test (ECT) indicate resistance to rough handling and to compression (stacking), respectively. Hand holes have an influence on which test is designated on the box maker’s certificate (BMC). The reason is that hand holes remove material from the box, rendering it weaker. This is a fact that should be compensated for in the cited test score (pounds per square inch or pounds per inch, for Mullen and ECT, respectively). Box style. The regular slotted container (RSC) is the most popular style due to its efficient use of corrugated board. When a RSC has hand holes, they are located on the end panels. Other box styles, particularly those that are tall and long, are known to have hand holes on end panels and side panels. Regardless of box style, hand holes present two major concerns: how the bottom is secured, and the location of the hand holes (which determines how much material is between the hand holes and the top score line of the panel). When a box is lifted via hand holes, the weight of the contents is supported by the bottom of the box. If not adequately secured, the bottom will give. This means that contents will fall through, resulting in content damage and possibly personal injury. Even when the bottom is adequately secured, if there is not enough board between the hand holes and the top of the panel, the board can rupture from the force of lifting, likely causing the handler to drop that end of the box. Size and shape of hand holes. As perviously mentioned, hand holes, because they remove board, weaken a box. It logically follows that the size and shape of the hand holes should be a trade-off between function and practicality. Ergonomics come into play. What size hand should the hole accommodate, given that both males and females might be handlers? A related consideration is whether the hole should accommodate a gloved hand or just a bare one. As for shape, an elongated oval is common, but does not exclude other shapes from consideration. The orientation of the hand, relative to the handling is critical. Lifting, for example, requires a palms-up insertion, whereas pulling can be performed with a variety of hand positions. The preceding comment can serve as segue into a discussion on printed warnings and safety instructions regarding hand holes. Some communications in the form of icons, for example, designate the handling as a two-person operation. Other communications, such as upward-pointing arrows, convey that the hand holds are for lifting as opposed to pulling. The rationale in that case is that the holds are more resistant to the forces imposed by lifting than they are to the forces imposed by pulling. Then again, if pulling is to be regarded as a misuse of the hand holes, it’s nonetheless a foreseeable misuse; therefore, the box should be able to withstand such handling, short of the abusive variety. Reinforcement. Hand holes can fail, but susceptibility to failure can be lessened by different ways of reinforcement, including plastic inserts and filament tape. Such methods, however, add costs, not just in material, but also in labor and in tooling. On a cost-effective basis, reinforcement of hand holes is rarely if ever justified when the other variables and considerations mentioned in this article are skillfully managed, resulting in boxes well-suited for their intended purposes. But how is such fitness determined? ASTM D6804-02 lists various evaluation methodologies in that pursuit. However, any stakeholder is free to design something proprietary, or even choose shipping tests, in lieu of or in combination with laboratory testing. In the final analysis, the design of hand holes for corrugated boxes is not an undertaking that manages itself. To the contrary, it’s a hands-on project. To our American friends – Happy 4th of July!! !